Zumba is a fitness program that was created by Beto Perez in his native country of Columbia. Perez is also the director of the national Zumba master trainer team. He’s a professional dancer and the former choreographer for Shakira and other high-profile celebrities. That’s how much the Zumba phenomenon has spread since the 1990s! Following are some reasons Zumba workouts are still so popular and worth a try. Zumba workouts feature Latin inspired dance routines, coupled with interval training and resistance training. The idea is to take the work out of workout and make exercising fun. Most people forget that they’re even working out! Zumba is a great choice for exercise if you’re trying to lose weight — because it uses cardio intervals mixed with resistance intervals, both of which are critical to losing weight and toning your body. It’s also fantastic because it can be done all throughout the year — which is great if you typically hibernate from your warm weather fitness routine. Zumba is funky, vibrant, and always fun. Fortunately, the world keeps fueling the love of Zumba fitness – every year these carnival-inspired dance classes remain high on the list of best workouts. The average person tends to burn around 600 to 1,000 calories in one Zumba class (without even realizing it, because you’re having such a good time). Some instructors have even included belly dancing and hip hop. 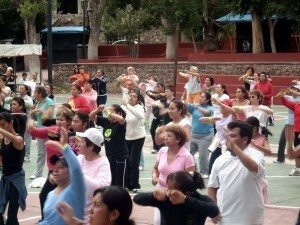 In fact, many Zumba fitness classes have begun to take on an international flavor, as each teacher adds their own special steps to the Zumba workouts that they teach. Geared toward active older adults, it has easy-to-follow choreography that beginners of any age may also appreciate. 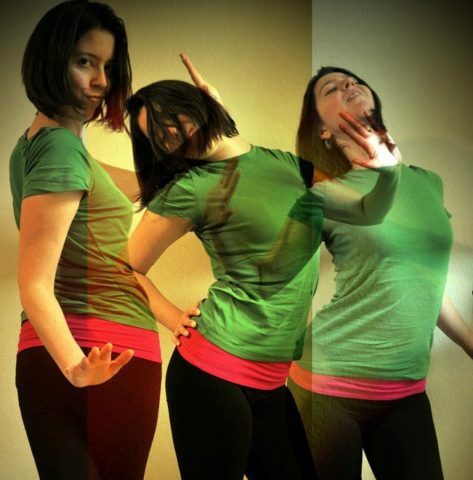 Zumba Gold focuses on balance, range of motion, and coordination at a lower intensity. A Gold-Toning class also includes strength training exercises. The Jr. classes are for kids age 4 to 6 years old, and the Kids classes for ages 7 to 11. They use kid-friendly steps and routines. Zumbini is for ages 0 to 3 and their caregivers. This is the first non-dance based class from the fitness brand. The newest of all Zumba classes revolves around high-intensity interval training, but still focuses on moving to the beat. Think of it as boot camp choreography — with a bass that puts you in a squatting trance. Focusing on the lower body – particularly the glutes and legs – Zumba Step combines the elements of Step Aerobics with the upbeat rhythms and party atmosphere of Zumba. What you get is an easy-to-follow, highly effective workout that gives great results. Zumba Toning incorporates weighted toning sticks in the Zumba workout that participants use almost like maracas. The toning sticks function like dumbbells — to act as resistance weights. You can use dumbbells up to 3 lbs. for the class, but the toning sticks (which are available in different weights) are better for Zumba classes because they’re filled with sand and move with you. Uses water resistance in a pool for a lower-impact Zumba dance pool party. You perform large muscle movements by reaching your arms and lifting your legs in the water, as well as circling your hips and shoulders. Instructors receive quarterly DVD releases with new routines for their students. This is a high-intensity Zumba variation using a chair as your dance partner, without having to lift weights. The chair-based choreography strengthens, balances, and stabilizes your core and steps up your cardio workout in a whole new way. Find Zumba classes near you. Ready To Do Your First Zumba Workout? Whether you decide to take Zumba classes, watch Zumba videos online, or buy Zumba DVDs for working out at home… doctors, people trying to lose weight, and Zumba instructors all agree that Zumba is a great way to have fun while you’re losing weight and stay healthy! Why Zumba Is Insanely Good Exercise!